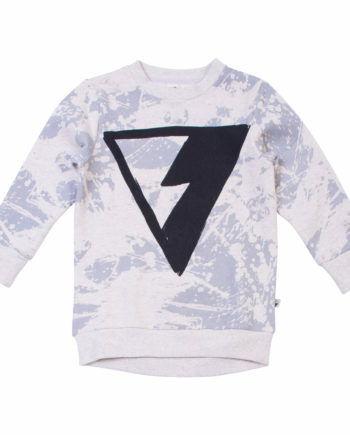 Milk and Masuki Triangle Lightning Long Sleeve Tee features an artist designed “Triangle Lightning” black print on soft, organic mid-weight 175 gsm cotton. 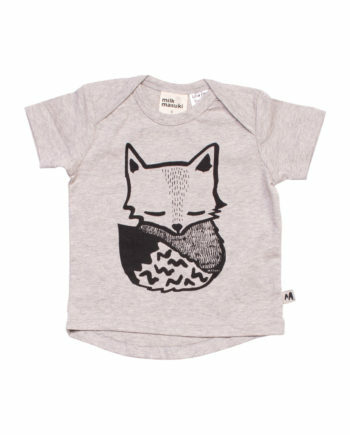 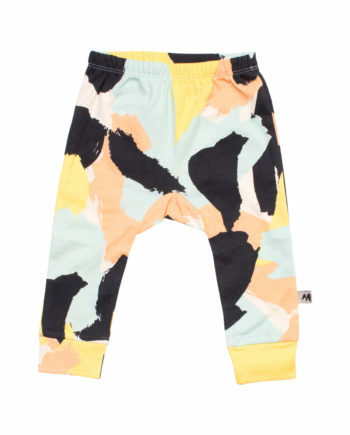 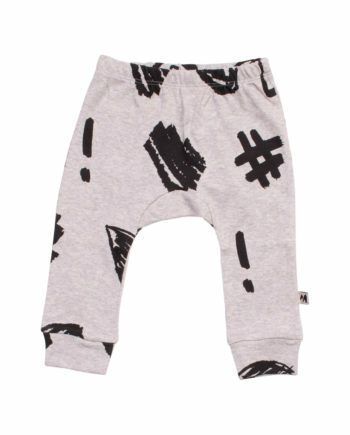 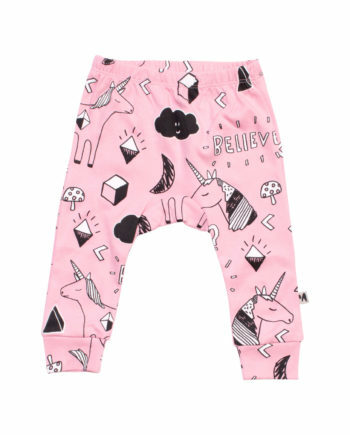 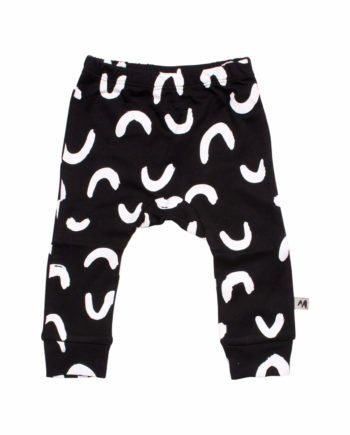 It is a print your little one will love! Milk and Masuki Triangle Lightning Long Sleeve Tee – This gorgeous, super soft and comfortable Long Sleeve Tee is made from organic cotton. 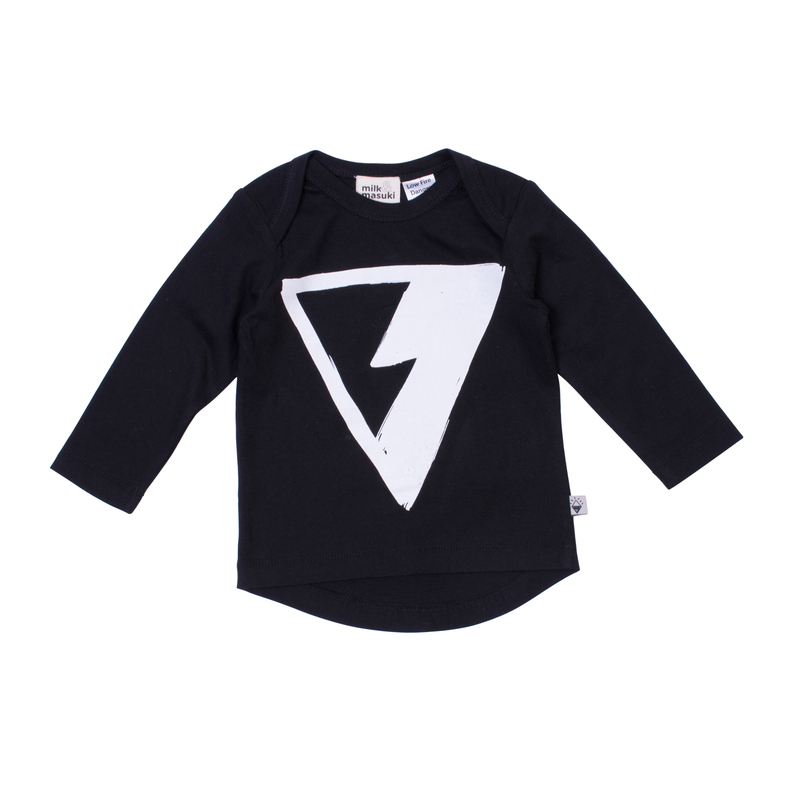 Featuring an artist designed “Triangle Lightning” black print on soft, organic mid-weight 175 gsm cotton, it is a print your little one will love. 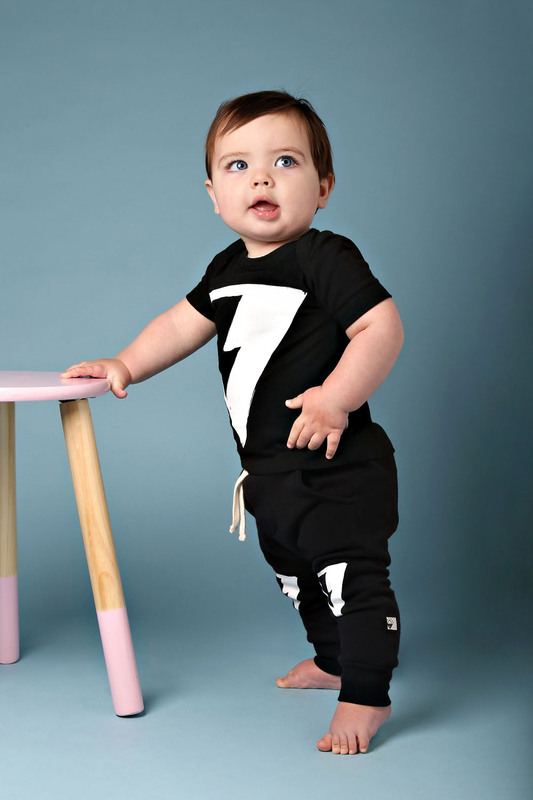 It features a lap shoulder for easy dressing and a cool drop back hem, it will sure to be an essential for your babies wardrobe.